Hey there, beloved! Wow. I’m here! And I’m so excited to be feeling like creating again! I have to be honest, I’m taking it one day at a time, which is how we should always be, really, I think. Lots have changed in my life and that of The Bold Abode! Long story short, we put up our home for sale last May and we finally got an acceptable offer in Septemeber. We closed November 30th and are now renting a 3 bedroom apartment for a little while. It’s very, very nice and Morgan and I are sooooo thankful that we have successfully made the transition. Home ownership for us was, wellllll, a bit of a challenge. Do I miss it? Yeah, a little. I can’t say it wasn’t sad, because it was. But the blessings that we have received from making such a drastic decision are already paying off. Being debt free has always been very important to us… more on that later though, because I don’t feel like sitting here being serious right now! I want to have a little fun! Lots of fun things are stirring in my brain, including a new blog design, which I’ve been dreaming of doing for a couple of years now. I have a good bit done, but I’m waffling on some of the details. Follow me at alwaysbrighter on Facebook if you want to see some behind the scenes. I’m going to be live streaming some of my design stuff there very, very soon! Today, I’m starting to do some fun things for Valentines. 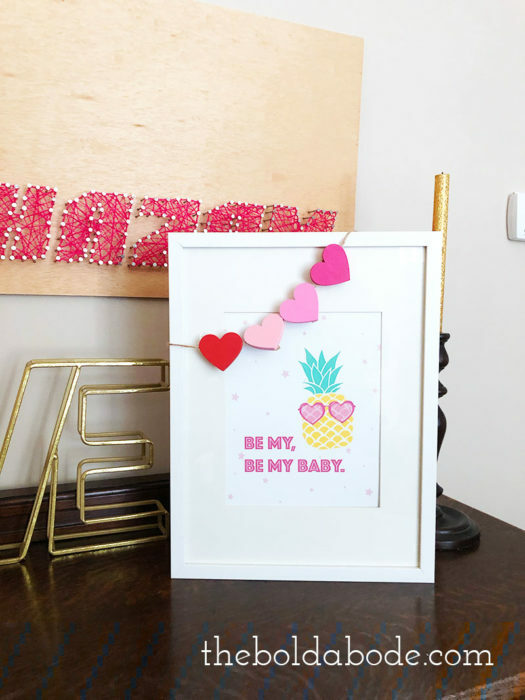 I’m not a big, sloppy romantic, really, but I LOVE decorating and making Valentine’s day crafts and decor! Check out my Valentine’s Gallery right here. 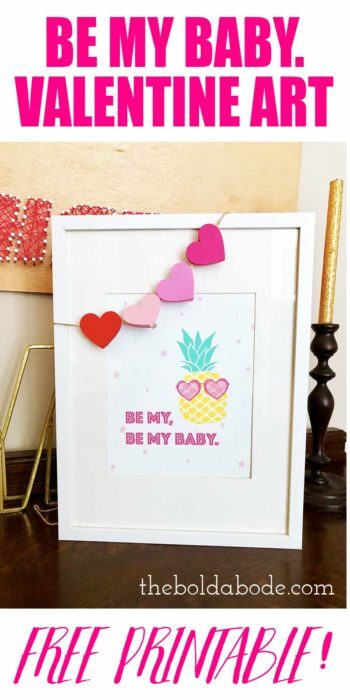 But be sure to grab this new Be My Baby Valentine Art Printable! 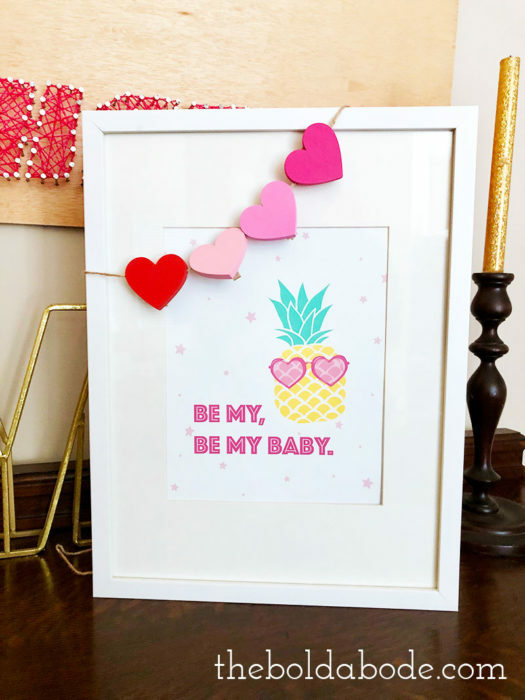 CLICK HERE TO DOWNLOAD BE MY BABY VALENTINE PRINTABLE! I printed it out on white cardstock using the BEST setting. It fits perfectly in my 8×10 Ribba frame from IKEA. I love happy art, and this little pineapple makes me just a little bit lighter! I hope you enjoy it and check back soon for a digital wallpaper version coming you way! Comments or questions? Visit this post on FB and let me know!